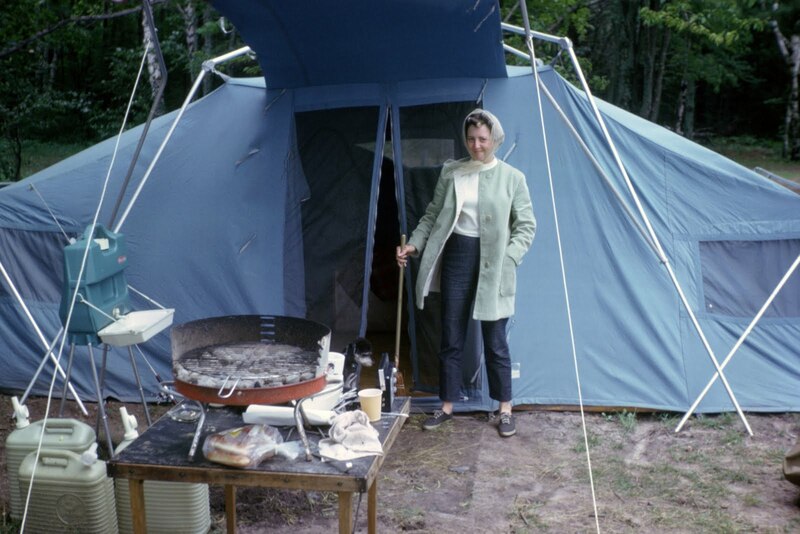 Don't let the smile or the stick fool you; Grandma 4444 is not, and never was, a fan of camping. though not, apparently, on this trip. has very fond memories of camping as a kid. (after giving me 100 slides free, in exchange for sharing my experience). I only agreed to one post, but I've written others here and here, just because. I love Grandma 4444's styling cropped jeans and keds! The curls are a classic my Mom would be the same way! The quality of the slides are amazing....what a fun trip down memory lane! I've never been camping in a tent but that looks like a real nice one. Used to play in tents as a kid though that we'd put up in our back yard. You are a rockin' family. I so like the text messages Mr 4444 sent you. How was your Sunday meeting with Unknown Mami? Where was I, did I miss it? Memory Hub has done a nice job with these photos. The colors look as though they were taken today. I really need to take my kids camping too. Ugh. It's been too long. Great pics! I could never camp, unless the tent is placed inside the lobby of a swanky hotel. 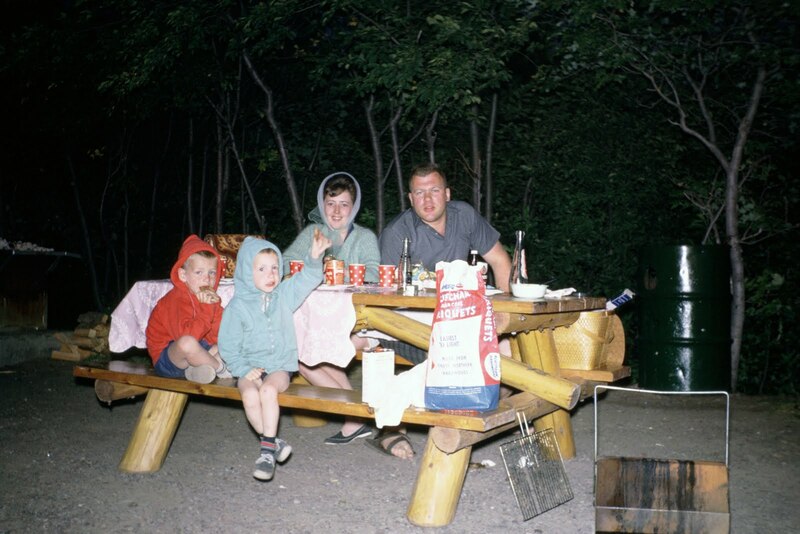 I have memories of camping with my dad and brother. I really don't remember mom staying overnight in a tent. That last picture is a classic - just an idea - you should put it on a coffee mug for him. I truly adore camping. But what really prompted me to comment were the pictures! If it weren't for the clothing I would swear these were recent shots! Getting prints off those well preserved slides really paid off.